Vegtoberfest challenges you to eat more plants, and share your personal story behind going “veg” for the month. 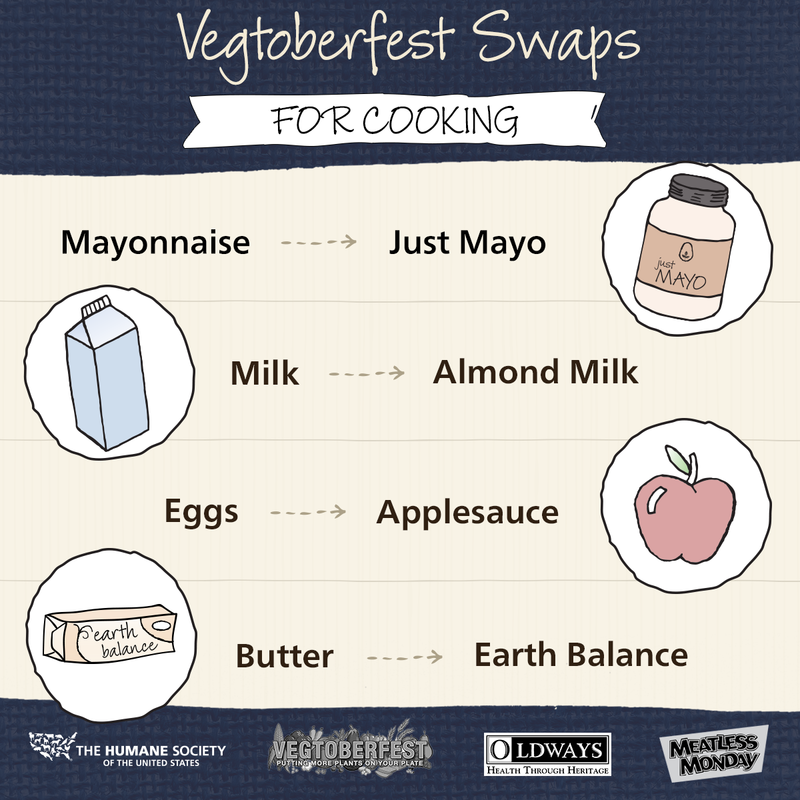 In honor of Vegetarian Awareness Month in October 2016, Oldways, Meatless Monday, and The Humane Society of the United States teamed up to launch a month-long campaign called Vegtoberfest. Next time October rolls around – or any month, in fact! – we invite you to take inspiration from our original Vegtoberfest content below, and discover how healthy, nourishing, and downright delicious a diet of plants can be. We asked our friends in the food world – including Dean Ornish, Frances Moore Lappé and a host of doctors, authors, chefs, actors and more – to share their personal motivation for eating plant-based meals, for their own health and that of the planet. 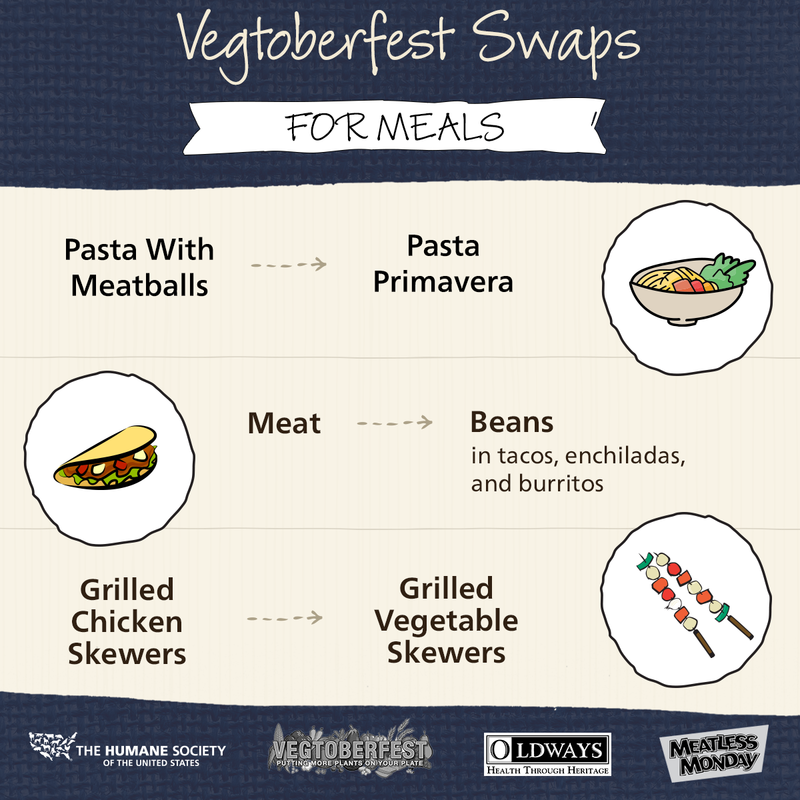 Check out our featured Vegtoberfest stories. Tipping your meals and snacks in a more plant-based direction is easy with these three simple infographics. Want more inspiration? 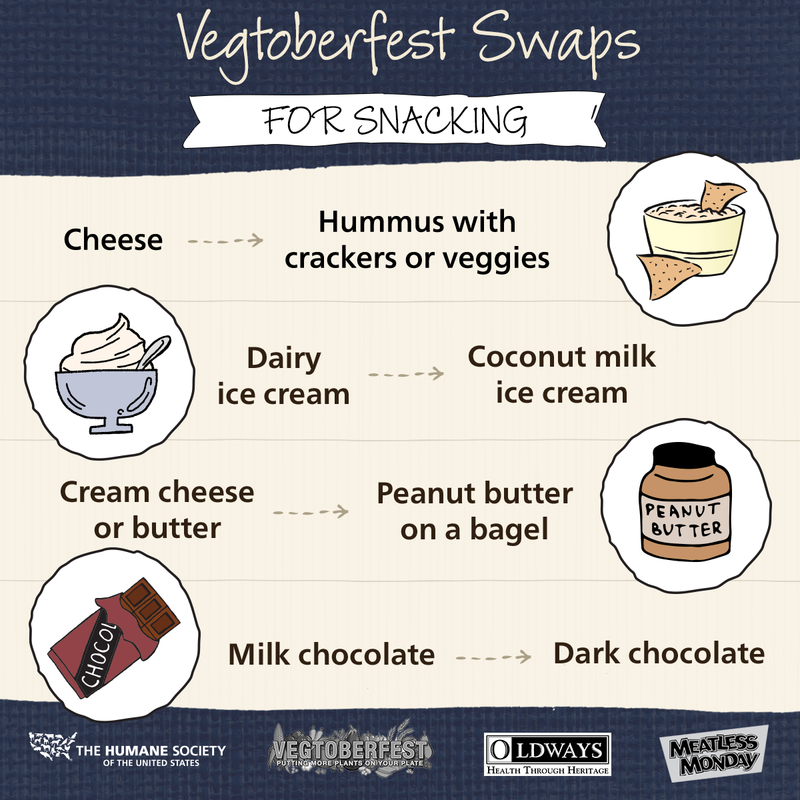 We’ve included links to some great blogs and stories inspired by the original Vegtoberfest.